Remember, vintage is NOT new...This is previously worn and will show minor wear...I have inspected and mentioned any noticeable or detracting flaws, noting whether this garment is wearable or not...If not, it can still be appreciated and used for fabric, pattern or construction study...This is sold As Found...Repairing flaws, cleaning, spot removal and pressing is the responsibility of the buyer, as I don't want to damage the garment. 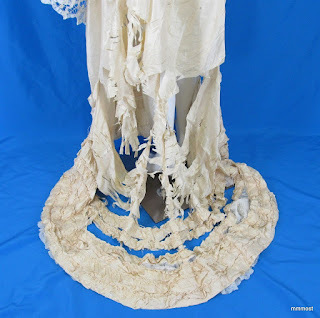 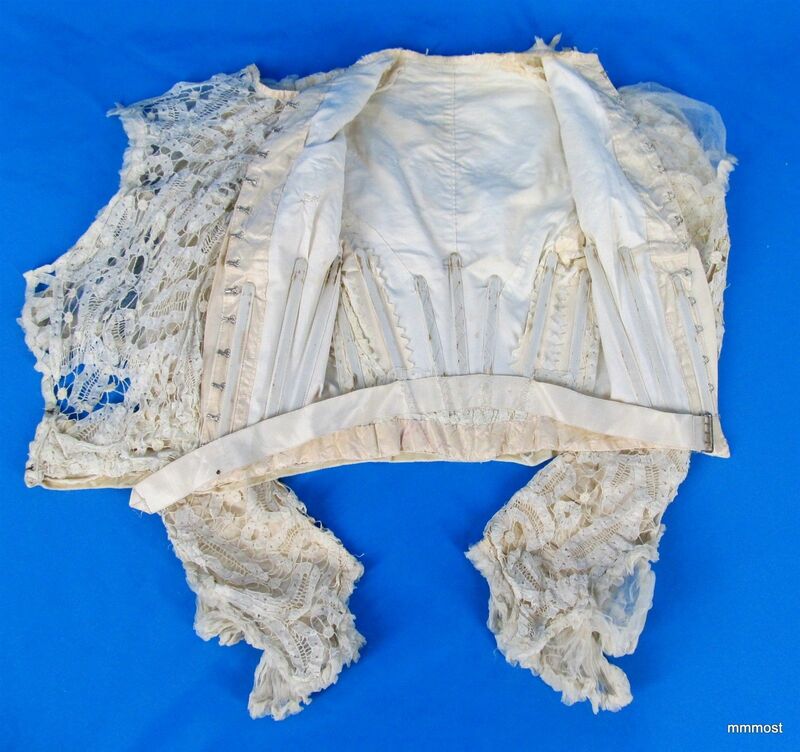 Although this is a wedding dress, I'm pretty sure, it's a few years older than the seller believes. 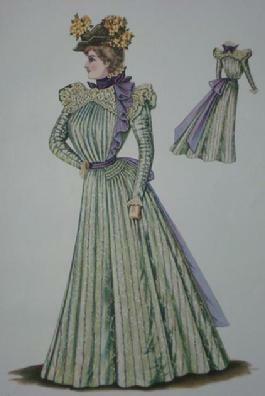 The fluff around the neckline meant to make the shoulders look big, make me think this one is from about 1897/1898. 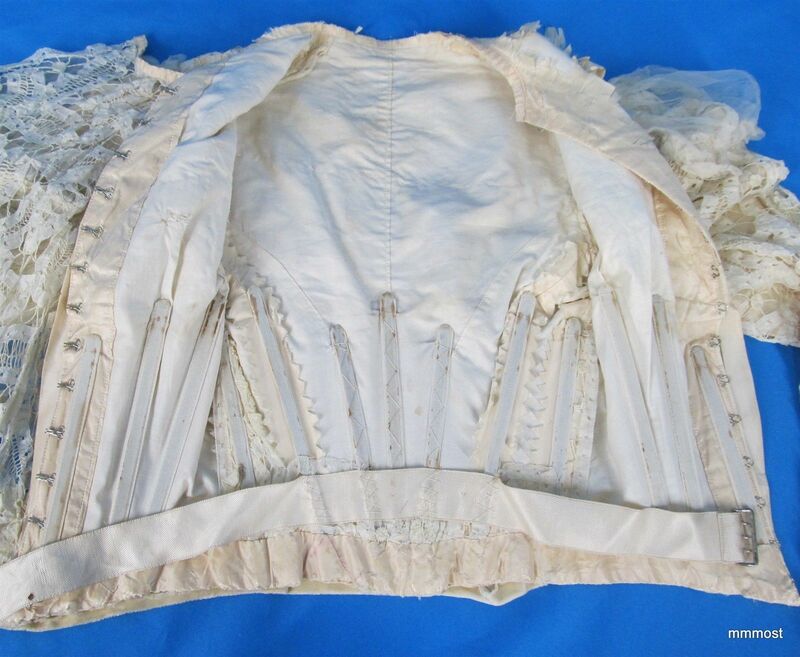 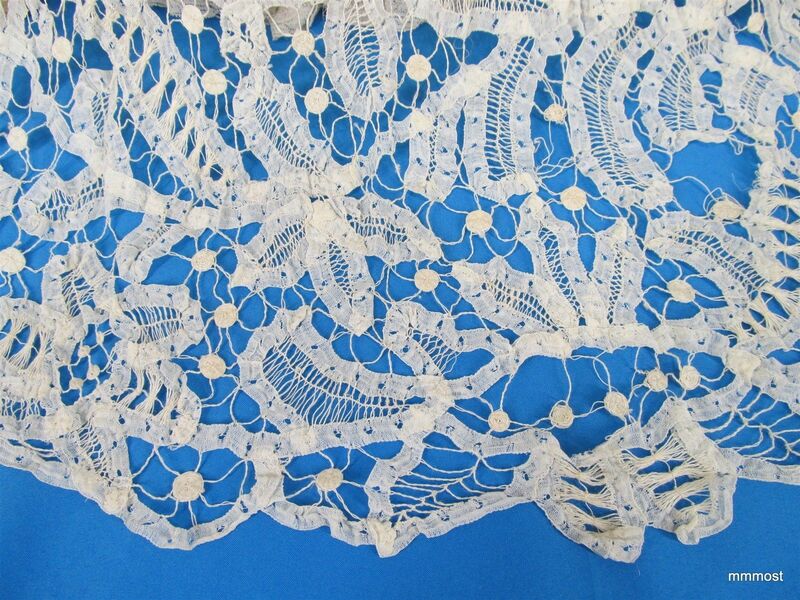 The silk of the underdress is completely shattered but, like all old textiles, it still tells us much. 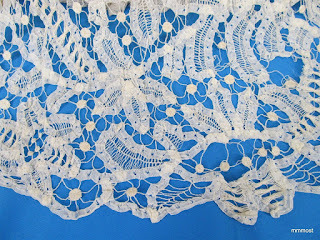 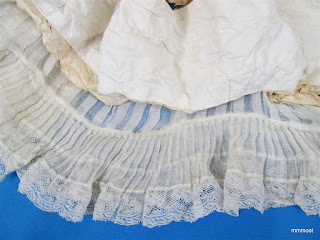 The hem is pretty well preserved even if the skirt itself is not. There are a ton of ruffles along the hem meaning this dress was to stand out a bit from the wearer. 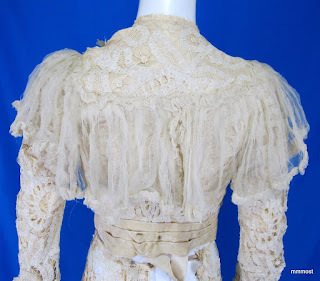 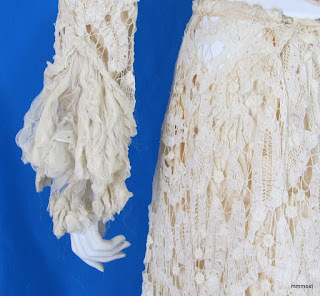 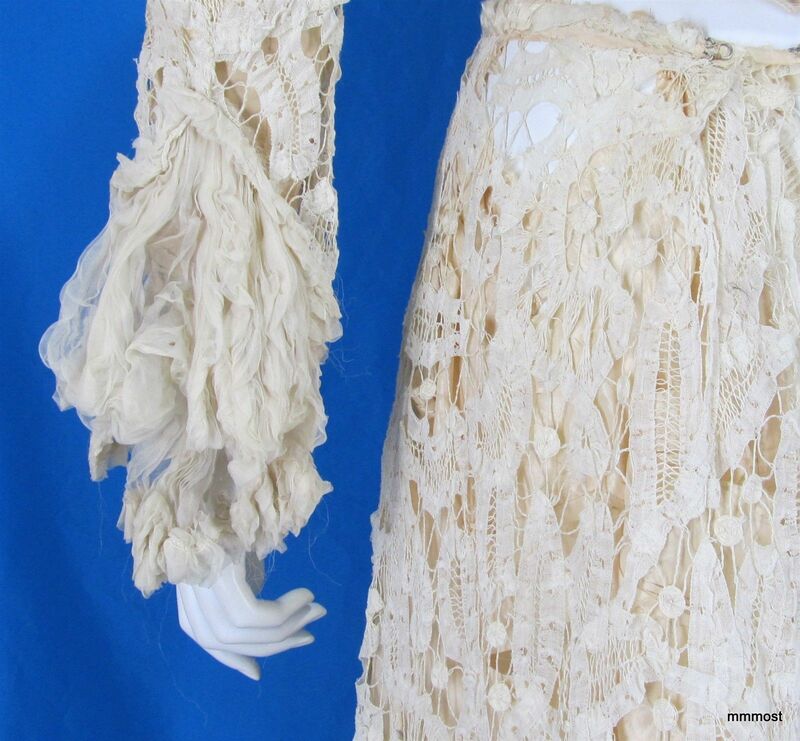 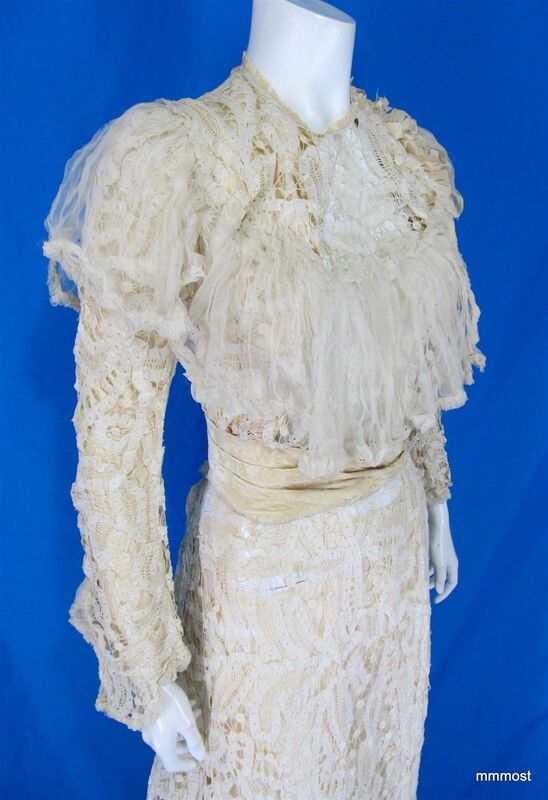 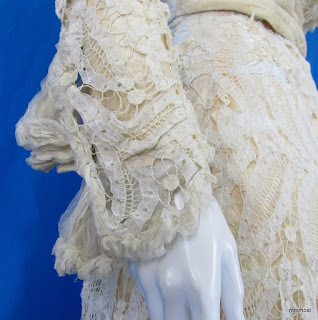 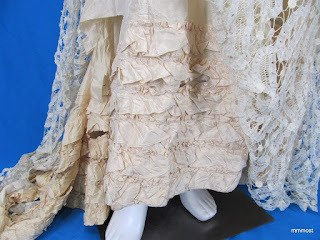 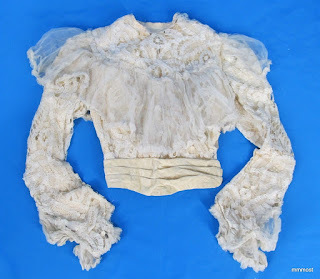 The lace overdress would have been expensive as well as the silk taffeta. 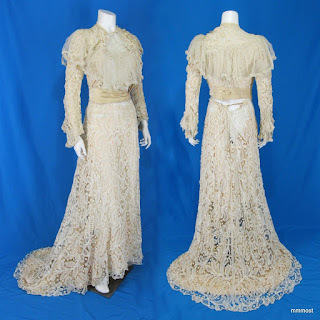 The colors and the general expense do make it out to be more of a wedding gown than a simple fancy ball gown - also the high neckline would be more appropriate for a wedding.